From the bestselling author of Minding the Body, Mending the Mind: an accessible guide to healing the destructive effects of guilt. The reaction by parents, teachers, and peers to our own actions often determines our sense of self--how confident we feel and how secure we are about our place in the world. When self-blame and pessimism begin to overtake self-esteem and optimism, the result may be emotional, physical, and spiritual distress. 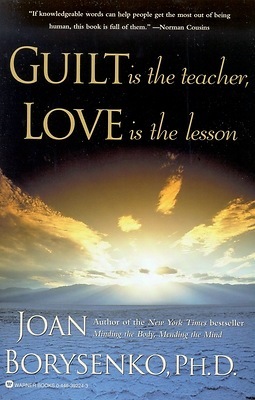 In Guilt Is the Teacher, Love Is the Lesson, Dr. Joan Borysenko, a Harvard Ph.D., explores this mind/body connection as she offers personal and professional advice for journeying toward recovery and self-love. Here at last is an insightful and uplifting approach for turning the teachings of guilt into the lessons of love.